Independent & Group Cambodia Tours Packages in 2019/2020 from Travelbag. 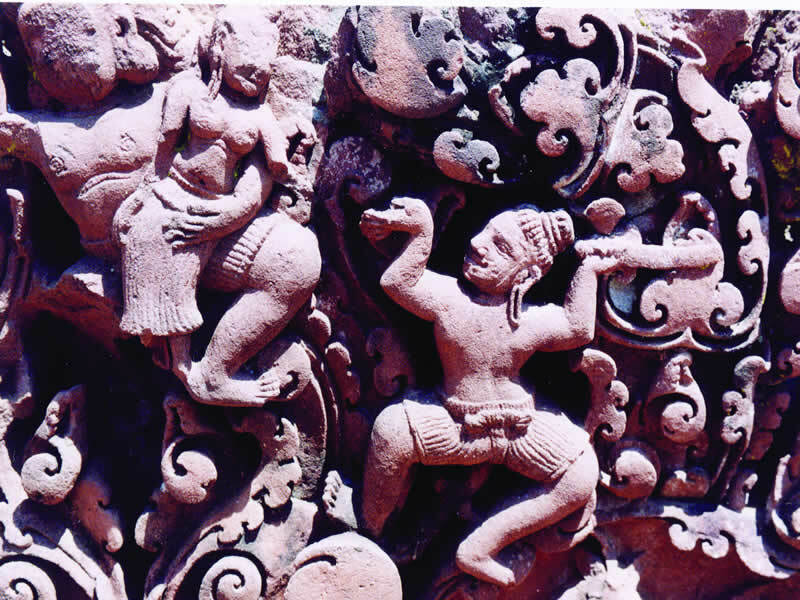 After many years off limits, Cambodia has emerged from its troubled past with a keen determination to show the world the plentiful treasures it has been hiding behind its previously closed doors. 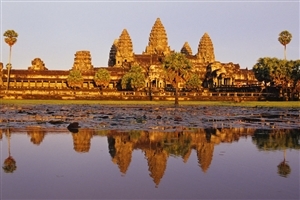 A land of fascinating legends, spectacular natural beauty and an unmistakable European-tinged charm, Cambodia bristles with intrigue, wonder and infectious smiles, a flourishing reputation that has garnered it status as one of the world’s very best tour destinations. 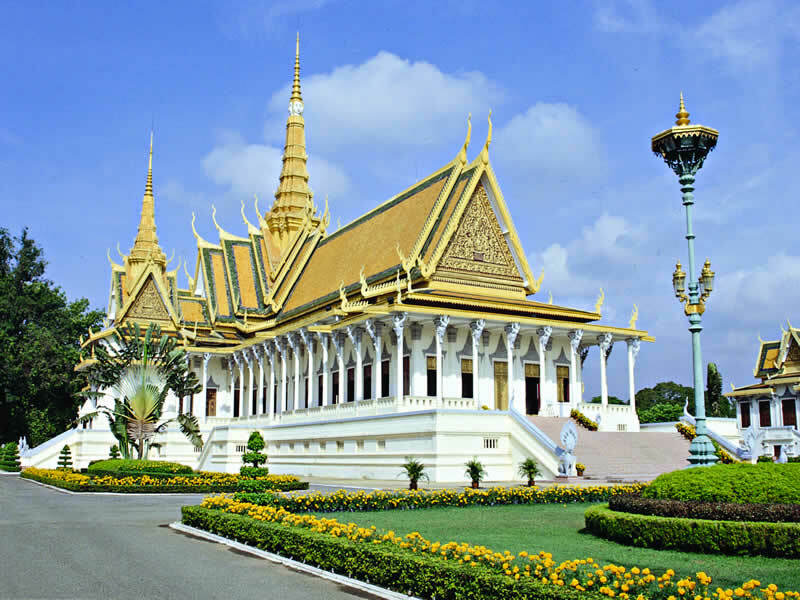 The capital city of Phnom Penh is Cambodia’s heart, one that pulses to the unmistakable beat of a lively Asian city. Indeed, Phnom Penh trades on its atmosphere, where the animated locals attract you with warm smiles, urging you to learn more about a city beyond the headlines and history lessons. A tour of Phnom Penh reveals its beautiful architecture, from the designs of the ancient Khmer era to the inspirations of its more recent French colonisation. Fairly modest modern development means the pastel hues of the latter are still in evidence throughout the city, lending it an attractive air of European grandeur, even before your nose pricks at the distinctive smells of freshly baked baguettes – one of France’s many legacies. With Travelbag, your tour will include visits to the majestic Royal Palace, which shimmers in the sun with its golden spires, the intricately styled National Museum and Sisowath Quay, a pretty promenade of cafes, shops and restaurants that overlooks the lazy Mekong and Tonle Sap rivers. Naturally, any visit to Phnom Penh is tempered with a sense of sobriety, the horrors of its history a lasting legacy that remains fresh in the memory for much of its population. The relative recentness of Cambodia’s plight makes educating yourself about it a necessity, an experience you will embark on with Travelbag via a poignant trip to Tuol Sleng Genocide Museum and the infamous ‘Killing Fields’. Tuol Sleng Genocide Museum is an imperative stop on any Cambodia visit, authorities having intentionally left the former prison untouched in an effort to display the full gravity of the Khmer Rouge’s atrocious activities. Similarly, The Killing Fields, the location of more than 20,000 mass grave sites, are both moving and incredibly affecting, an emotional journey that will stay with you forever. North of Phnom Penh brings you to the pretty city of Siem Reap, a popular migration for visitors in search of the magnificent Angkor archaeological site. Often regarded as the ‘Eight Wonder of the World’, Angkor Wat is an extraordinary 12th century temple complex that is distinguished by its distinctive Khmer architecture of ridges, curves and delicate carvings, a man-made creation that has weathered the influence of time well. Surrounded by verdant countryside, Angkor Wat is beautiful from every angle, though many consider the sight of watching a fiery sunrise slowly bathing it in light every morning to be one of life’s most incredible human experiences. 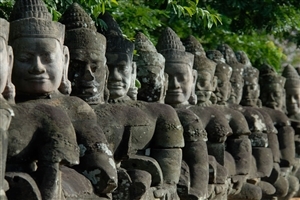 Join a Cambodia tour and you will be treated to an experience you will never forget. 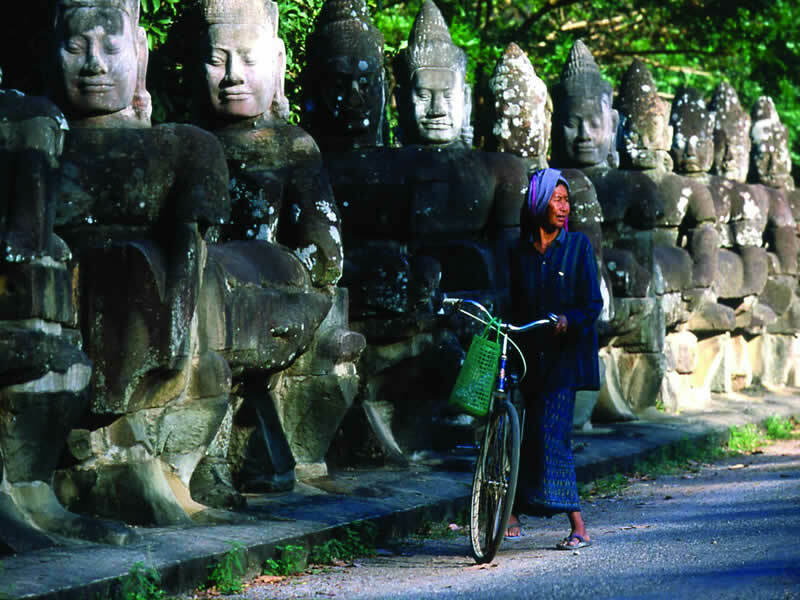 Beyond Angkor Wat, Travelbag offers tours of the greater Angkor Archaeological Park with its plethora of inspiring sites, including Bayon, where many Buddha images have been carved out of stone, and Ta Prohm, where nature has attempted to reclaim the land, creating startling scenes as trees and plants sprout from the buildings that have been built on top of them. Siem Reap itself is a charming city that has also been blessed with French influence, as denoted by its leafy boulevards and colourful buildings. Venture to the south of Cambodia and the lesser-known stretch of coastline that fringes the sublime Gulf of Thailand is becoming a popular attraction. Not as busy as those in neighbouring Thailand and Vietnam, Cambodia’s beaches nonetheless share the same pretty scenery and delicately soft-sands, making them a tempting proposition for anyone keen to soak up the pleasant tropical sun. 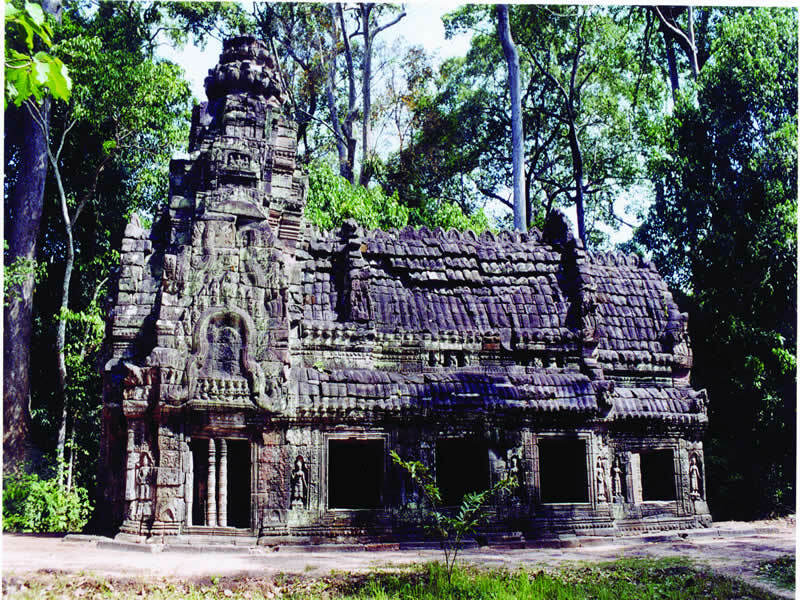 Marvel at some of Cambodia’s most famous Angkorian temples on a five day voyage of discovery that starts with the opportunity to enjoy the colonial charm of Phnom Penh. 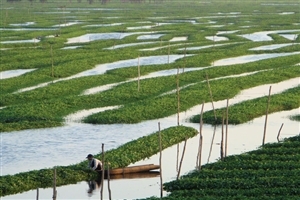 Explore the recent turbulent history of the nation, and then cruise across the famous Tonle Sap Lake before spending time at some of the most culturally important temples to the Cambodian people. 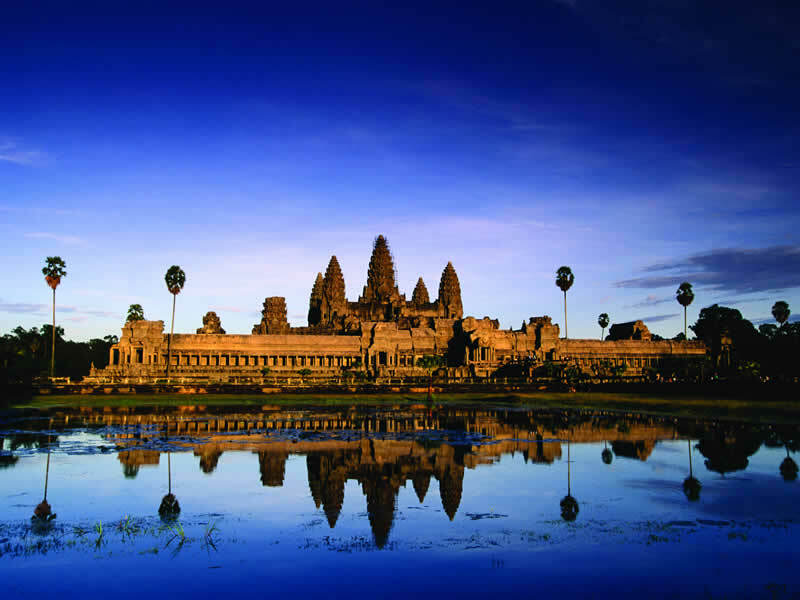 Explore the turbulent history of Cambodia on a visit to Phnom Penh before heading out into the countryside to visit local villages, cruise on the Tonle Sap Lake and marvel at some of the many temples for which the nation is so well known. 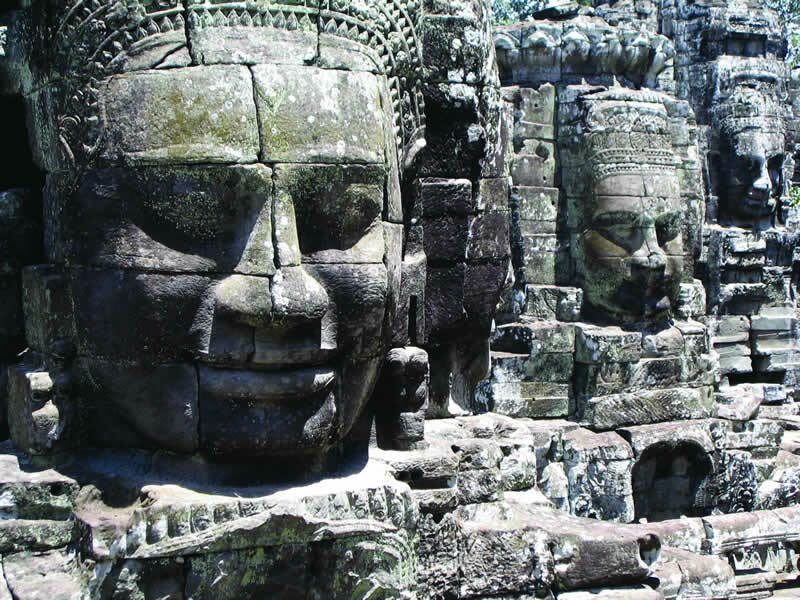 Tour the highlights of this once troubled nation with a 14 day trip that explores its ancient temples and friendly local villages, whilst also providing time for reflection on its recent turbulent history. 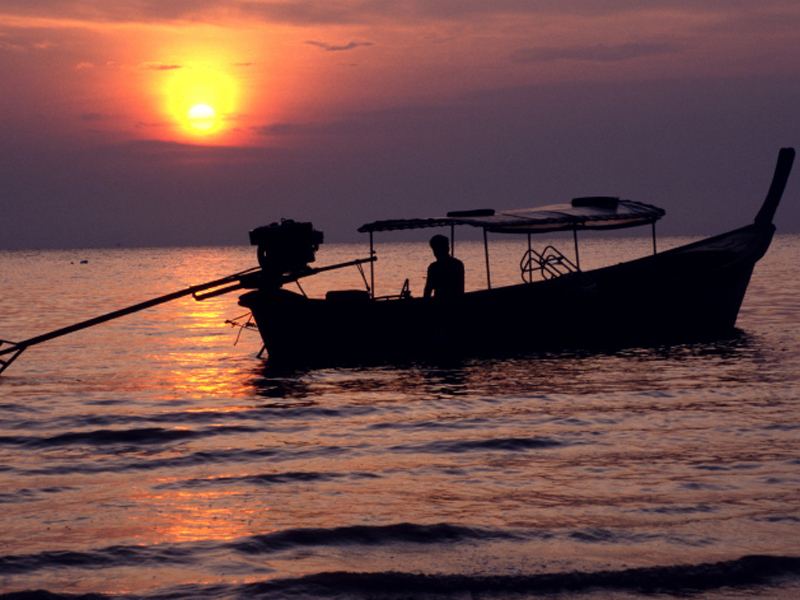 Be sure to pack your sense of wonder and adventure when you visit Cambodia. This is a land of unfiltered beauty, ancient curios and a dark political history, one that makes this country – more than many others – a fascinating experience. 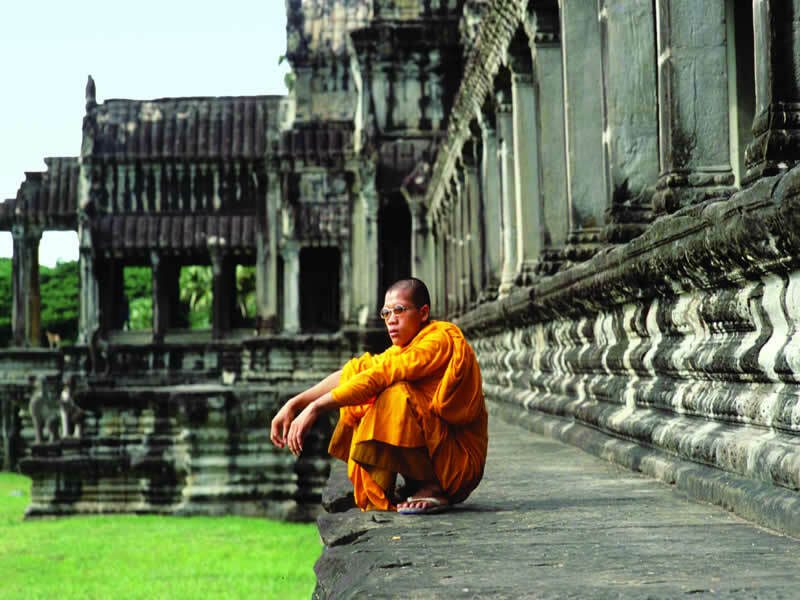 With Travelbag, a Cambodia tour promises to uncover each of the country’s many treasures, from the sublime temples of Angkor Wat, to the French-inspired picturesque streets of Phnom Penh, to the relatively untouched stretches of its southern beaches. Perfect for couples, families and individuals alike, Travelbag offers Cambodia tours of varying lengths, allowing you the opportunity to see the best of Cambodia or delve deeper into the heart of this wonderful nation. There has never been a better time for a Cambodia holiday. 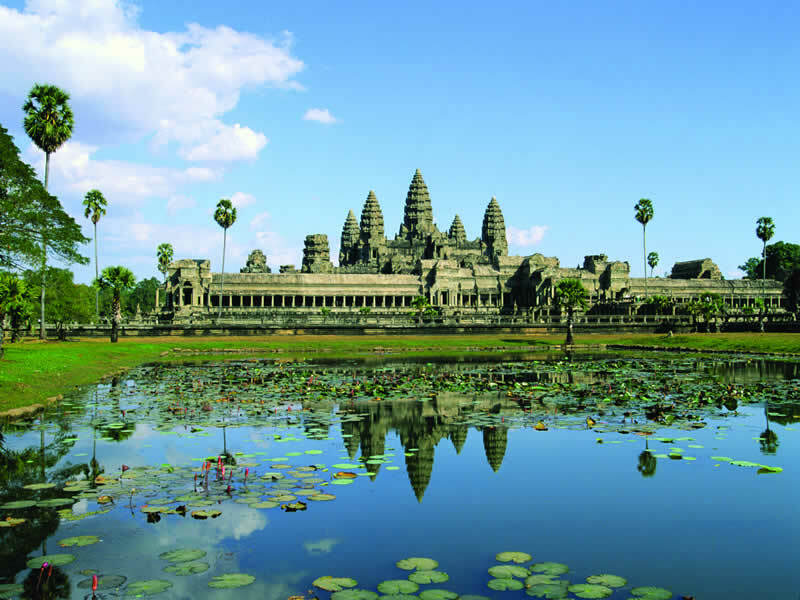 For more information about Travelbag’s excellent range of Cambodia tours, call 0203 944 2201 to chat with one of our knowledgeable travel experts about creating the perfect Cambodia holiday for you. 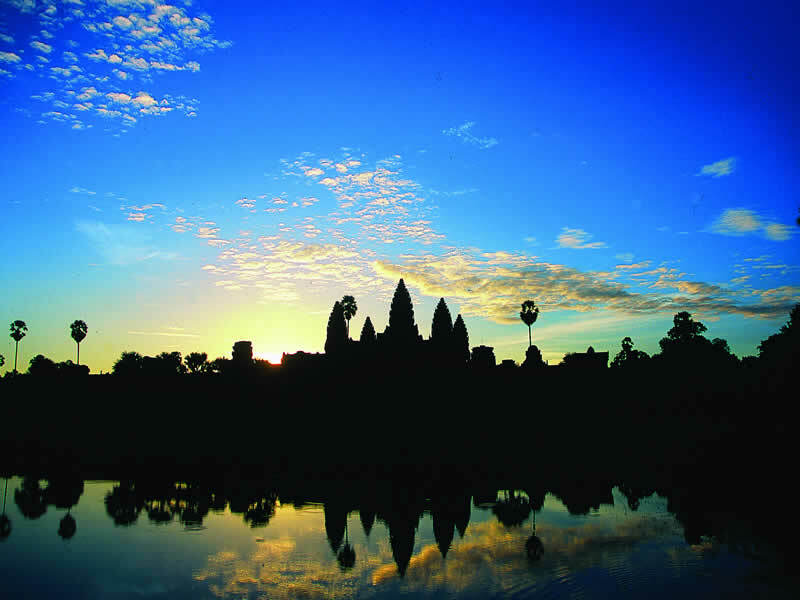 Witness a dawn like no other - Few morning sights are considered as spectacular as witnessing a sunrise over the majestic Angkor Wat temples. With a Travelbag tour, you will witness this breathtaking moment from a unique vantage point. The Paris of the Far East - Pick any of the waterside cafés that fringe Phnom Penh’s Mekong River, order crusty baguette and a café au lait to feel as though you are in your own little corner of Paris. Be moved by Cambodia’s history - A sobering, but necessary, experience, a Travelbag tour of the Tuol Sleng Genocide Museum and ‘The Killing Fields’, provides a chilling insight into the horrors of the Pol Pot regime. Feel sand between your toes - Be transported to a feeling of tranquillity at Sihanoukville, one of Cambodia’s most beautiful sun-kissed beach resorts. 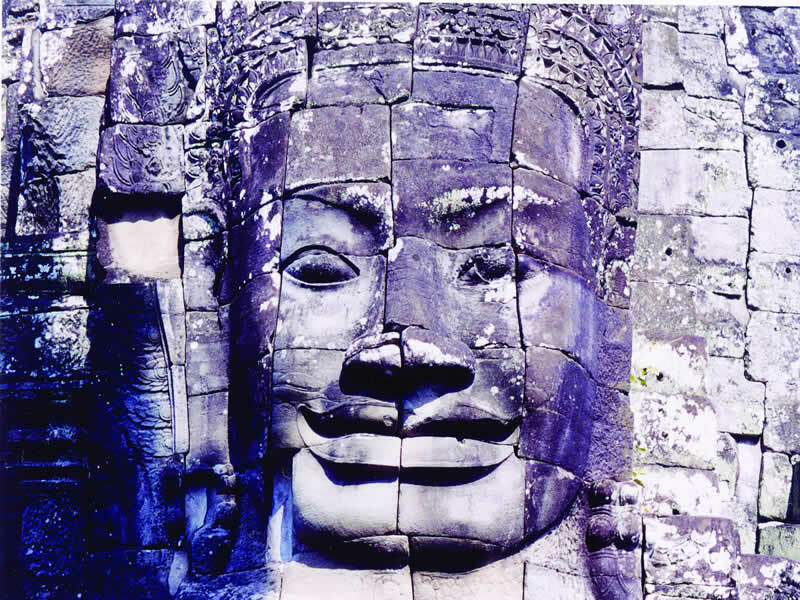 Come face-to-face with Buddha - A full tour of the magnificent Angkor Wat Temples will bring you to Bayon, where a multitude of eerie stone faces have been carved into the unusual Khmer buildings. Feeling French - Stroll Siem Reap’s charming boulevards to admire France’s colonial stamp on the surrounding architecture and leafy lanes. 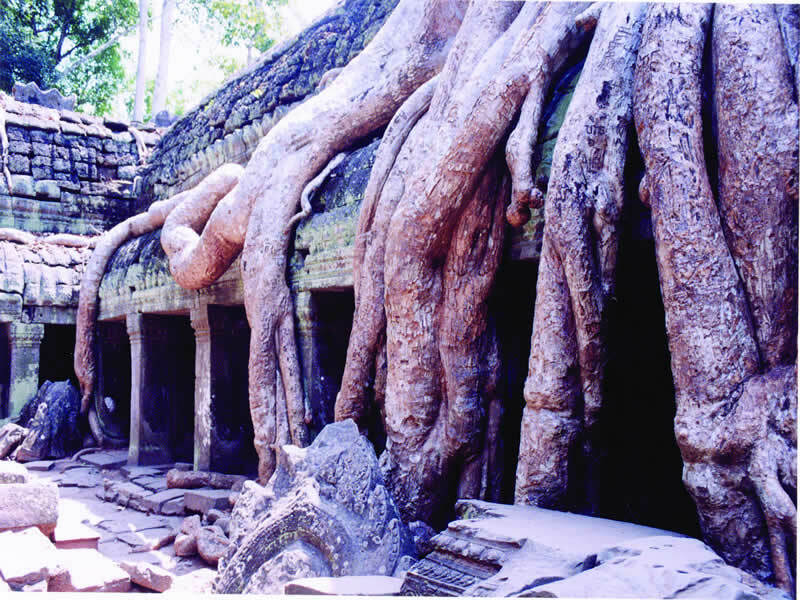 Watch nature take back the land - Visit the remarkable Ta Prohm, where the mighty jungle is reclaiming the land by growing in and around this shrouded temple. 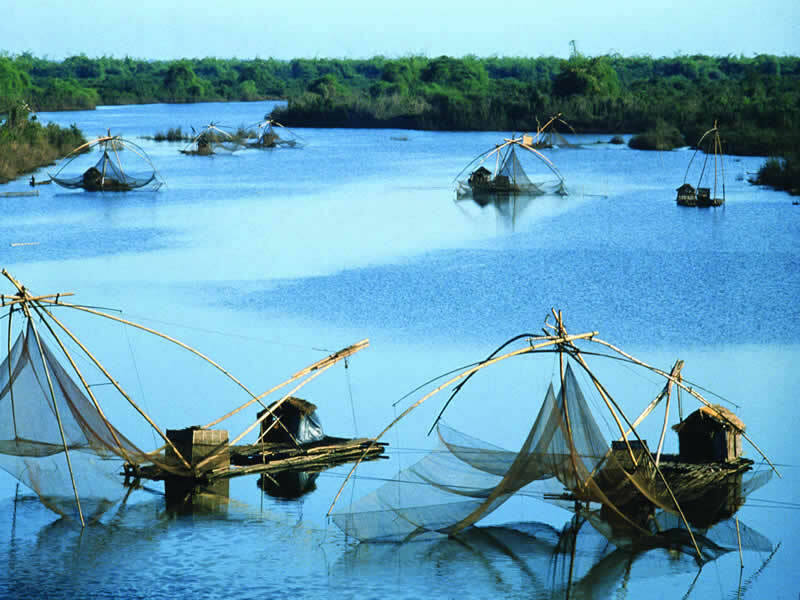 Cruise past a floating hospital - The second largest freshwater lake in the world once the June rains have backed it up, Travelbag offers a tour across Tonle Sap will see you pass through a quirky floating fishing village, complete with houses, schools and even a hospital! 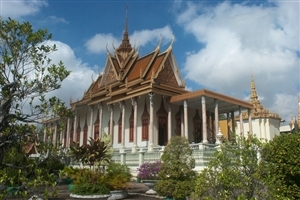 Be educated and enthralled - Delve into Cambodia’s rich and fascinating history with a visit to the captivating National Museum and the Royal Palace. Marvel at Tep Pranam Pagoda - Crane your neck skywards to admire the huge seated statue of Buddha located in the majestic Tep Pranam Pagoda. 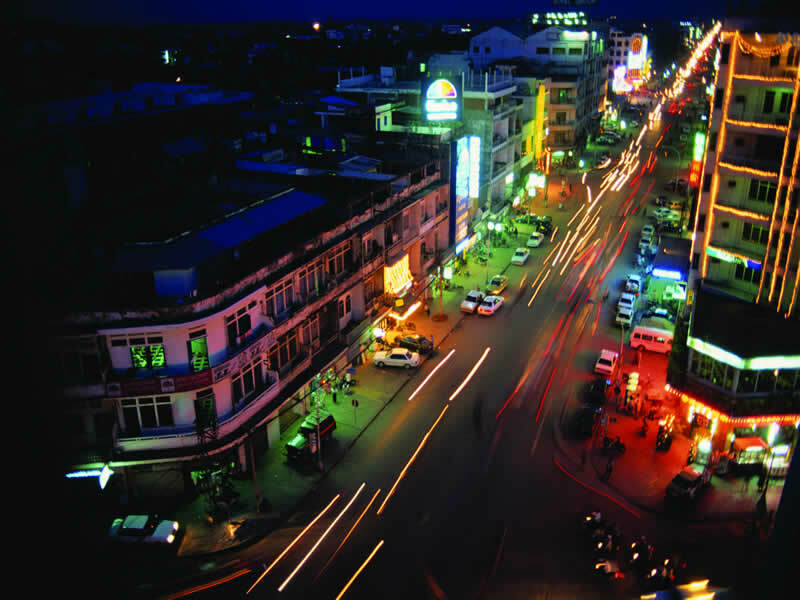 Phnom Penh is more than just Cambodia’s capital city; it is Cambodia’s heart and soul. 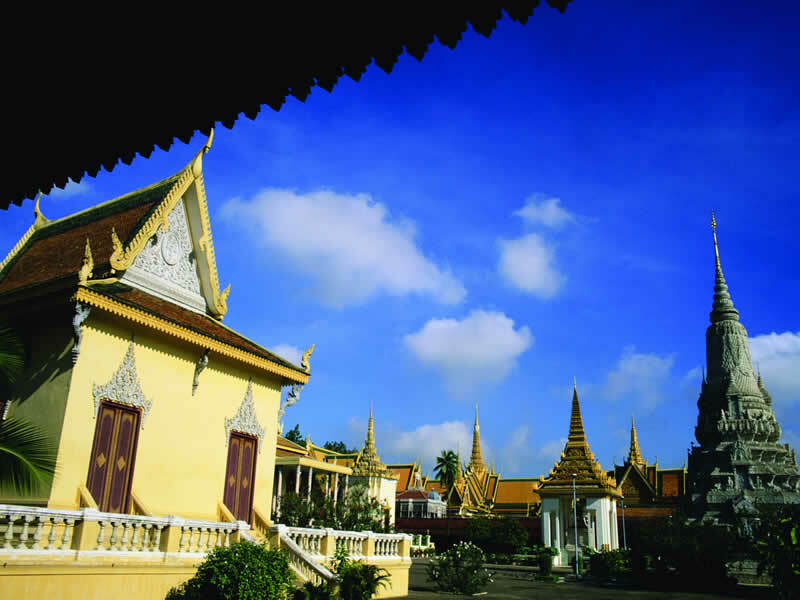 A Travelbag tour of characterful Phnom Penh will immerse you in its lively lifestyle, as well as its tragic past. The gateway to Angkor Wat, the small, yet charming city of Siem Reap is well worth exploring for its pleasant leafy boulevards and French colonial architecture. Board a boat on the vast Tonle Sap Lake to pass through a unique floating village, complete with houses, schools and even a hospital! 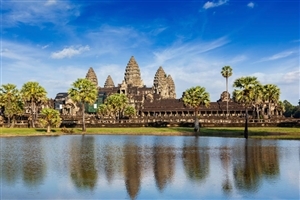 The vast Angkor Wat temple complex remains Cambodia’s iconic draw, its distinctive Khmer architecture and enigmatic origins making it one of Asia’s most revered tour locations. Sharing a stretch of Thailand’s shimmering Gulf waters, Sihanoukville offers attractive scenery, soft ivory sands and temptingly quiet beaches.